This chapter is based on Mark 11:11-14, 20, 21; Matt. 21:17-19. 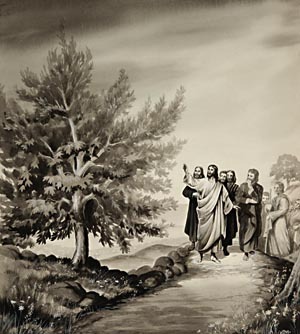 The barren tree, flaunting its pretentious foliage in the very face of Christ, was a symbol of the Jewish nation. Click here to read the next chapter: "The Temple Cleansed Again"